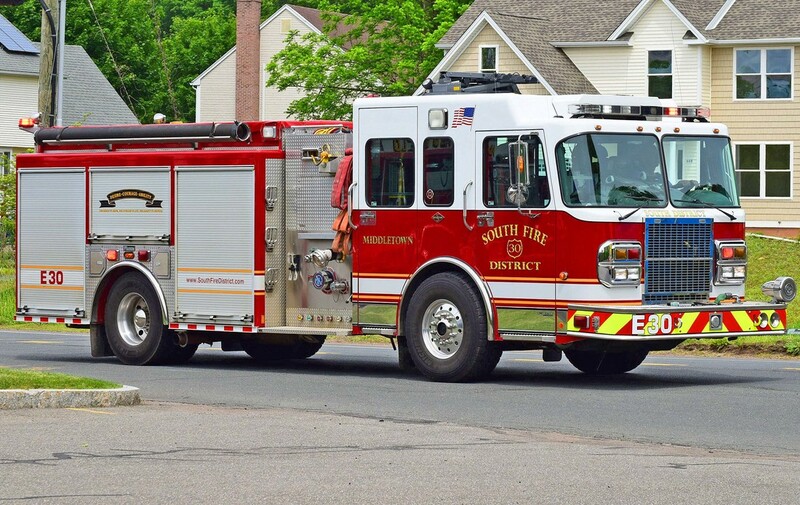 This is the page for the South Fire District. 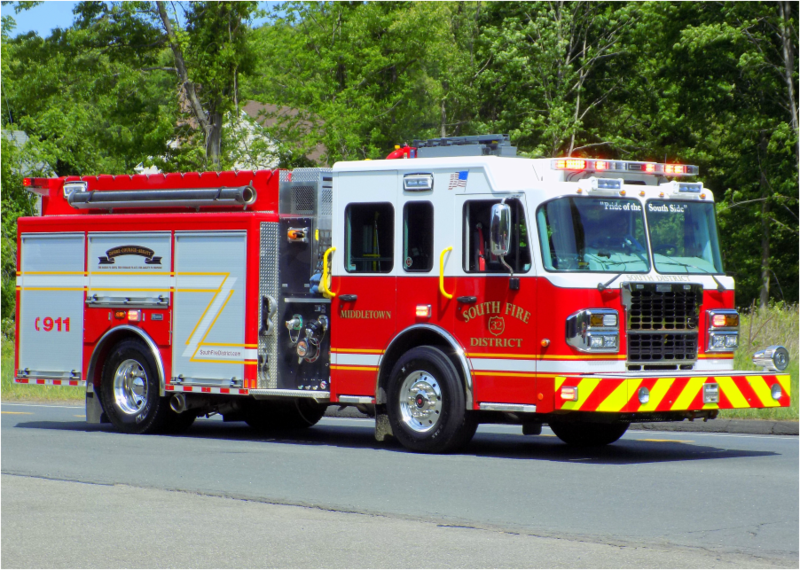 They have 2 engines, 1 ladder, 1 rescue, 1 brush truck, 1 pickup truck and various chief cars. 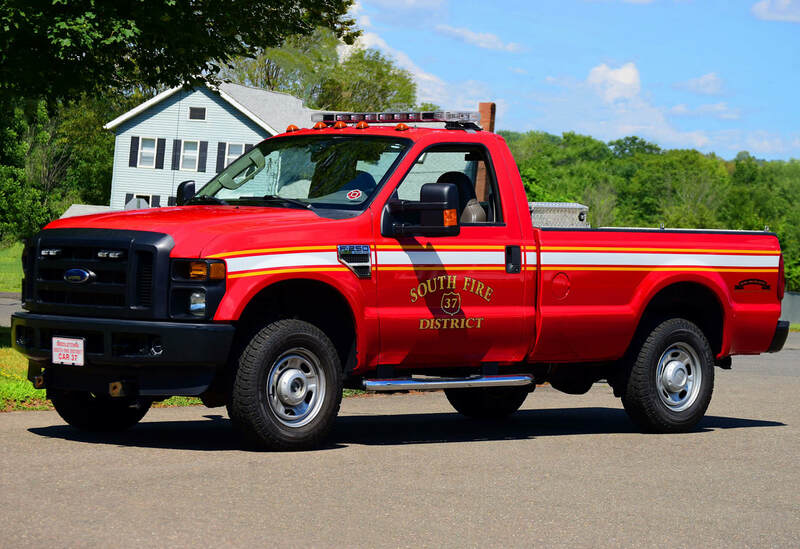 South District's Car 37, a 2010 Ford F-250 pickup. 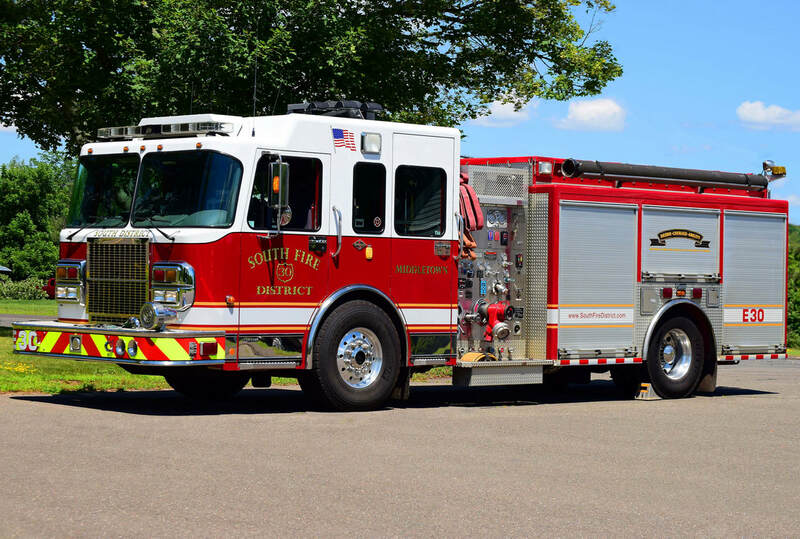 South District's Engine 30, a 2007 Spartan/Marion. 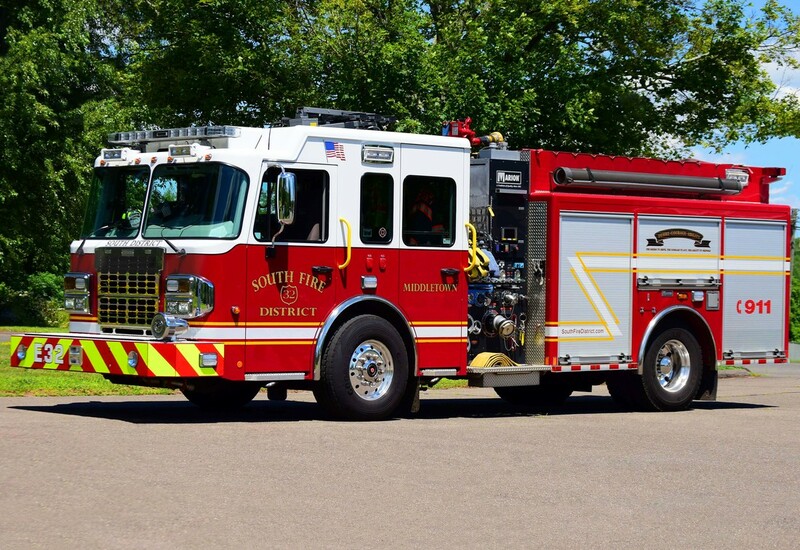 South District's Engine 32, a 2014 Spartan/Marion (ex demo). 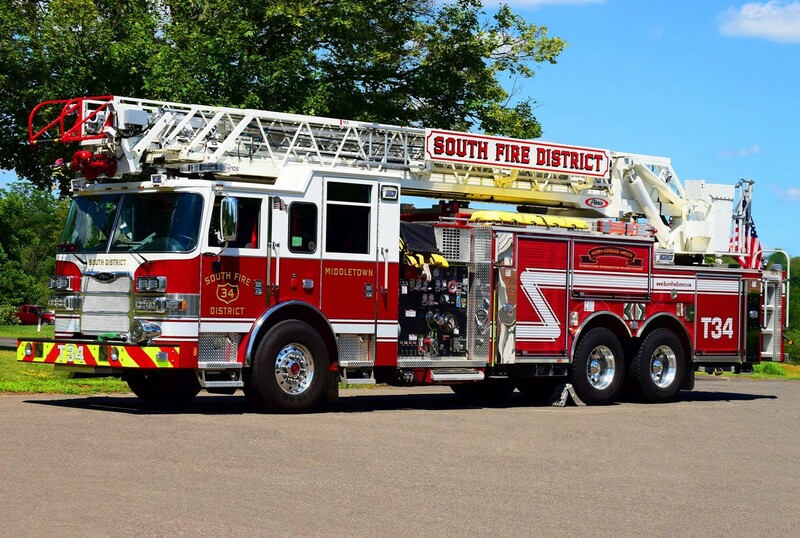 South District's Ladder 34, a 2016 Pierce Arrow XT 105ft RMA ladder truck (ex demo). 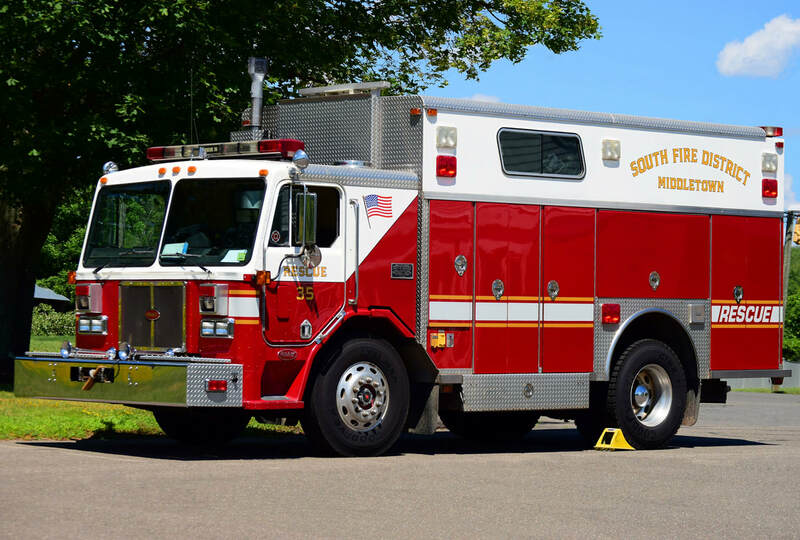 South District's Rescue 35, a 1991 Peterbuilt/Saulsbury rescue and equipment truck. 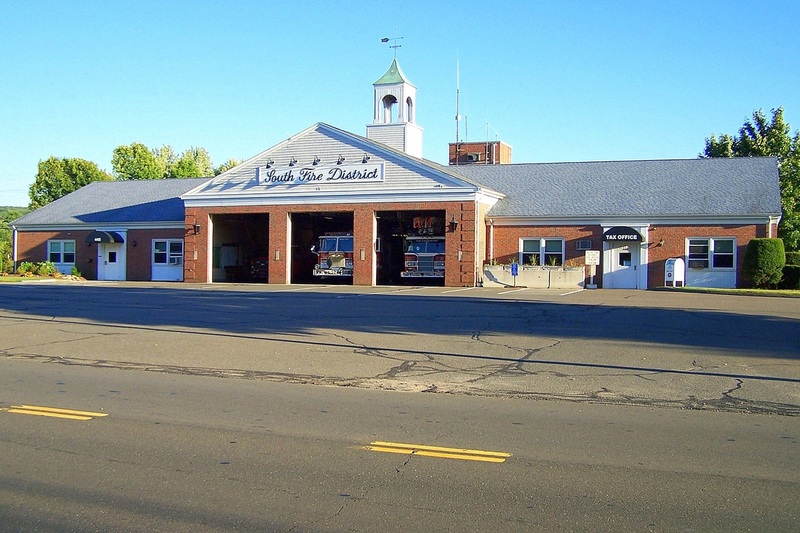 South Fire District's Fire Station, located at 445 Randolph Road in Middletown, CT.